This is the Guest Profile screen. This is where you enter or change the guest's details. 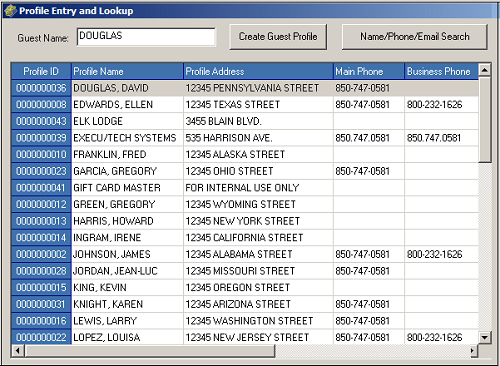 For most properties the Profile Entry and Lookup window will open, allowing you to search the database for existing guest profiles. This is the Guest Profile window. Moving from field to field, it is quicker most of the time to press Enter than to use your mouse. "Guest Email:" A setting in Guest Profile Tools determines whether this is a required field. 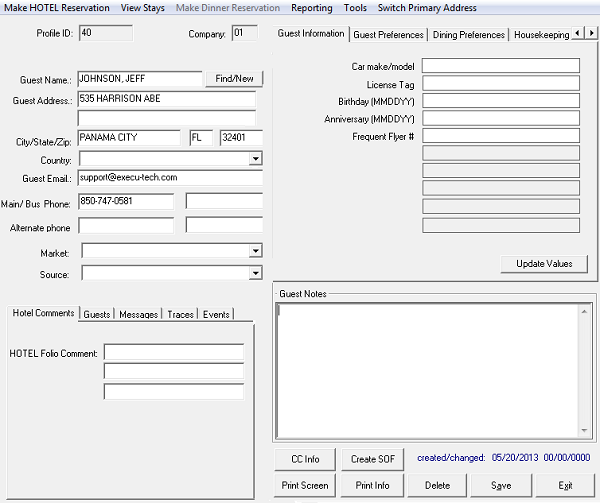 If you enter a guest email address, Execu/Suite can send confirmation letters and folios via email. For email settings click HERE. Note: If you are not using Guest Profile but would like to enter an email address for the guest, select the Options button at the bottom of your check-in screen. Then enter the email address in the appropriate field. 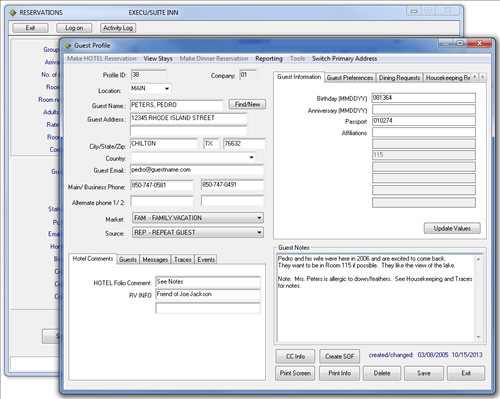 Save the check-in prior to emailing a folio or other form. The first four of these tabs may be renamed to suit your purposes. See Guest Profile Tools .